Steve Kettelhut grew up on a Thayer County farm and became a resident in Jefferson County in 1968. 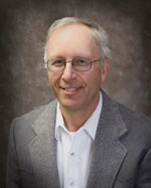 In 1978 Steve received his Nebraska Salesperson License and attended the Western College of Auctioneering. He started conducting auctions in 1979. 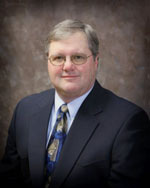 He obtained his Nebraska and Kansas Real Estate Brokers license in 1980. Scott McGee is a 1990 graduate of World Wide College of Auctioneering. In 2000 Scott received his Nebraska Salesperson License and in 2001 his Kansas Salesperson License. Along with his family ,Scott has been involved in the cattle business for many years and they are members of the American Hereford Association, as well as the state organization, where Scott serves on the board of directors. Scott and his wife, Judy, are active members of Jansen Bible Church. They have been members of the Fairbury community since 1990.